Want to stripe your irons? Try reversing your grip in practice to groove an iron-crushing hand path. Why? 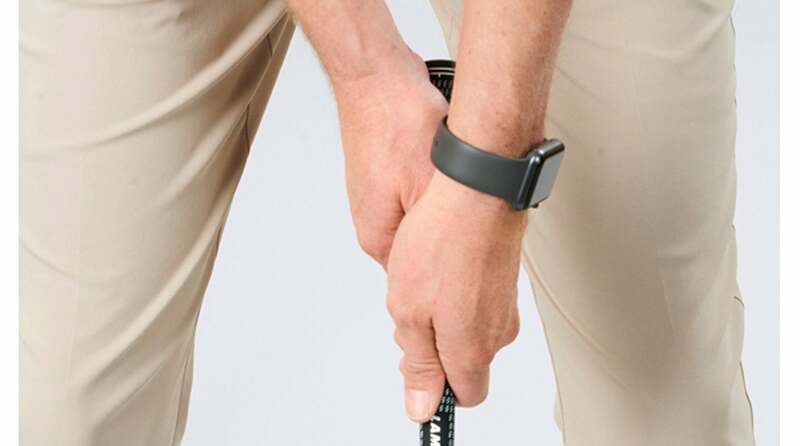 According to GOLF Top 100 teacher Tim Cooke (@TimCookeGolf), a cack-handed grip provides for a more naturally curving handle path, which is the route you need to take for increased stability and speed. If you’re having trouble hitting your irons solidly, your hands are likely drifting out and away from your body through the hitting zone. This greatly reduces the length of time that your clubface remains stable through impact. Working your hands around your hips and up toward your left shoulder is the quick fix, and I have a great way to help you feel it. Grab any iron from your bag and take a cack-handed (or left-hand-low) grip. Reverse your grip in practice to groove an iron-crushing hand path. The benefit of practicing with a cack-handed hold is that it makes it more natural for your hands to “turn the corner” around your body through impact and then travel diagonally toward your left shoulder—the key to pure strikes. GolfLogix has always helped you pick the right club. Now it also helps you pick the right line You’ll feel it immediately as you make some practice swings at three-quarters speed. Pull up on the handle through the hitting zone on a curve, instead of on a straight line along the ground. 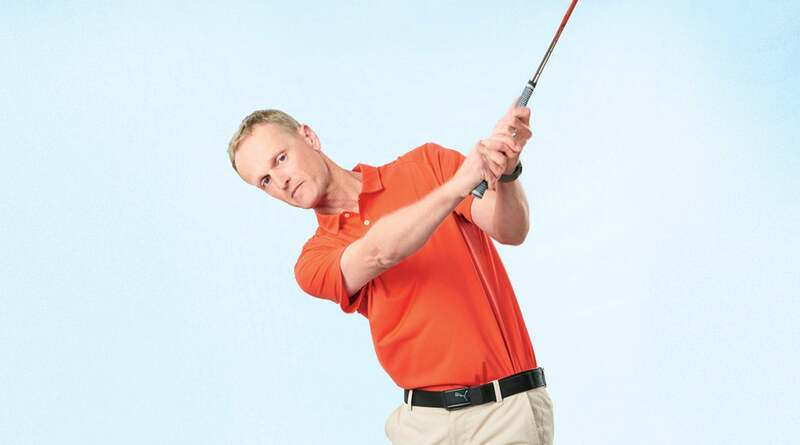 You’re gaining stability while ramping up your clubhead speed for more powerful shots. A cack-handed hold makes it more natural for your hands to “turn the corner” around your body through impact. Tee up some balls and hit actual shots. Don’t worry about where the ball goes— your goal is to focus exclusively on your hand path around and up. Then switch your hands back to normal. Boom!